Vienna, 1788. Copper-engraved map, with original outline colour, on four unjoined sheets, with full natural margins, in excellent condition. Sheet size of each 24 1/3 x 33 inches. A finely engraved monumental map of North America depicted shortly after the American Revolution, by a great Austrian cartographer. This is one of the largest depictions of North America made during the eighteenth-century. SchrÃ¤mbl, who was by then one of Austria's most prominent cartographers, directly based this work on the map by Thomas Pownall. Pownall, a British MP, and formerly the governor of New Hampshire and Massachusetts, first produced this map in 1777. SchrÃ¤mbl based his work on Pownall's 1783 second state, which showcases the former thirteen colonies as the newly independent United States of America. It was included as one of the principal maps of his grand work, the Allgemeiner Grosser Atlas . The immense scope of SchrÃ¤mbl map's takes in all of the territory from James Bay, all the way down into the Spanish Main of South America. The map shows the newly independent American republic to be a small nation hugging the Atlantic seaboard, while the vast lands of the Ohio and Mississippi basins are shown to be largely uninhabited. The map covers all regions in great geographic detail. One of the most attractive features of the map is its pictorial representation of Native American villages, trading posts, mines and other features. Mexico, Central America, and the broad chain of the West Indian archipelago are also elegantly portrayed. The map features two fascinating cartographic insets; the first of which depicts Hudson's Bay and the Canadian Arctic; the latter supposedly containing the entrance to the purported Northwest Passage. The second inset features the head of the Sea of Cortes in the southwest, evincing Father Eusabio Kino's declaration that California is not an island, based on his exploration of the area from 1698 to 1701. This elegant compostion is further embellished by a large cartouche of rocaille ornamentation. Cf. Kohlmaier, Ursula, Der Verlag Franz Anton SchrÃ¤mbl (Doctoral Dissertation, University of Vienna, 2001); McCorckle, New England in Early Printed Maps , 788.6. Neueste Reise durch Corsica, mit Bemerkungen über die natürliche Geschchte des Landes, und die Sitten und Gebräuche seiner Bewohner. Aus dem Französischen des Abbé Gaudin. Mit 1 gest. Titelvignette. System der Gesetzgebung. Aus dem Italienischen. 2. verb. Auflage. Entwurf einer physikalischen Erdbeschreibung. Aus dem Englischen mit Anmerkungen übersetzt von J. G. Geissler. Dresden, Walther, 1788. - circa 19,8 x 12,3 cm. 4 Bll., 406 SS., 3 gefaltete Kupfertafeln Pappe d. Zt. VD18 12292915-001. Seltene, einzige deutsche Bearbeitung des um 1785 erschienenen Werkes "A New, Complete, and Universal Body, or System of Natural History", mit einer Einführung und Kommentaren von dem Übersetzer Johann Gottlieb Geisler (1753-1816). Das Werk gibt eine Naturgeschichte, die sich auf geologische, mineralogische und paläontologische Funde stützt, sowie Naturereigisse, wie Erdbeben zu deuten versucht. Millar diskutiert verschiedene Theorien über die Entstehung und Entwicklung der Erde, auch im Bezug auf ihre Vereinbarkeit mit dem biblischen Schöpfungsbericht. Mehrere Kapitel widmen sich Vulkanen, Kometen und Versteinerungen. Aus dem Inhalt: Übersicht der verschiedenen Theorien der Erde, Von den Höhlen und unterirdischen Gängen, Von den Bergwerken, Dämpfen und andern mineralogischen Ausdünstungen, Nachricht von der erwartetetn Wiederkunft des Kometen vom Jahr 1532 und 1661 im Jahr 1788., Berechnete Oerter des Kometen., Bemerkungen über einige Versteinerungen, wie man sie in dem St. Petersberge bei Mastricht gefunden, Fernere Bemerkungen über die Vulkane, nebst Widerlegung einiger Einwürfe in Rücksicht ihrer Erscheinungen gegen die Wahrheit der Offenbarung etc. - Eine Tafel gibt eine Tabelle der höchsten Berge, die anderen beiden zeigen Uhrzeit-Funde und Versteinerungen aus dem Petersberg. - Papierbedingt etwas gebräunt, wenig fleckig, Titel mit kleinem, altem privatem Monogrammstempel, Einband beschabt. Reden zum Wohl der Menschheit über verschiedene Gegenstände. Ueber Religion, Freydenkery und Aufklärung. Ueber die Art, wie man zum Tod verurtheilte Uebelthäter, vorzüglich aber verstockte Bösewichter in ihren letzten Stunden behandeln soll, aus physiologischen Grundsätzen. Grundsätze für Dienende. Geschrieben von Ignaz Klein, und mit einer Vorrede herausgegeben von dem Hofrath von Eckartshausen. 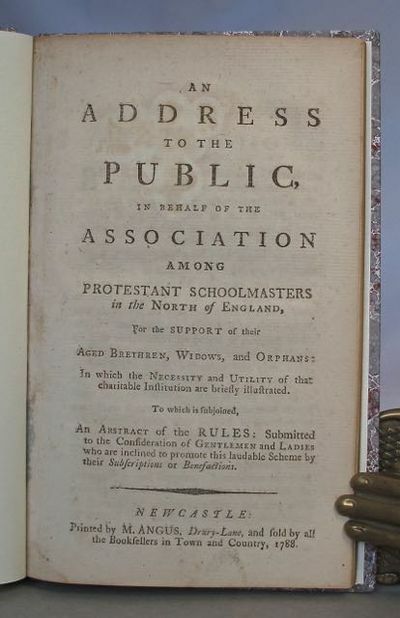 An address to the public, in behalf of the Association among Protestant Schoolmasters in the North of England, for the support of their aged brethren, widows, and orphans: in which the necessity and utility of that charitable institution are briefly illustrated. To which is subjoined, an abstract of the rules: submitted to the consideration of gentlemen and ladies who are inclined to promote this laudable scheme by their subscriptions or benefactions. Newcastle: printed by M. Angus, Drury-Lane, and sold by all the booksellers in town and country, 1788. 8vo., 45 + (1)pp., well bound fairly recently in marbled boards, spine lettered on a paper label. A very good copy. Probably the 2nd edition, the BL having a copy of both a 1774 and a 1788 printing. However, ESTC finds no library holding of either issue elsewhere. The Introduction> (pp. iii-vi) is signed by Alex. Murray, Rev. Robert Green and James Wood who were presumably the trustees. They give a brief history of the Association which had been launched at a meeting of 'a respectable number of schoolmasters in Newcastle, assembled July 15th, 1774, to consider the practicableness of providing for their indigent brethren'. The Duke of Northumberland accepted the honorary office of President thereby taking 'the association under his protection'. The Rules of the Association, which here comprise pp.31-45, are largely typical of any Friendly Society of this period. It is worth noting, however, that the geographical limitations for membership comprised the towns of Newcastle Upon Tyne and Berwick upon Tweed and the counties of Northumberland, Cumberland, Westmoreland, and Durham. Paris, 1788. 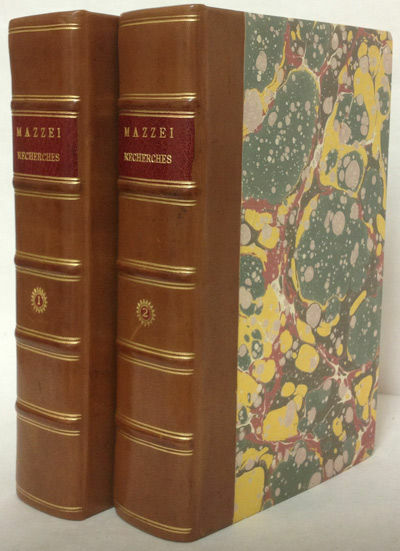 Modern half calf and marbled boards, spines gilt, leather labels. Minor foxing and soiling. Very good. The author emigrated to America from Italy in 1773 to introduce the cultivation of grapes and olives to the United States. He became a neighbor of Jefferson in Virginia, settling near Monticello at Jefferson's request, and this association led to their long friendship and the author's acquaintance with Franklin and Adams. A staunch Republican, he took an active roll in the Independence movement. In this work Mazzei outlines the history of the American colonies, the causes of the Revolution, and the economy and government of the United States. Also discussed are Indians, slavery, emigration, and the Society of the Cincinnati. An important work which Dumas Malone characterizes as "probably the most reliable of all the works of the period on the United States." Jefferson aided Mazzei in the compilation of the work while acting as American minister in Paris. Letters on Greece being a sequel to letters on Egypt, and containing travels through Rhodes, Crete, and other islands of the Archipelago. Sämmtliche Werke. Erster und zweiter Theil = Politische Schriften: Erster Theil - Zweiter Theil. Horologie- en uurwerkmakers handboek.Nijmegen, widow of J.C. Vieweg and son, 1826. 8vo. With 4 letterpress folding tables, and numerous illustrations and figures on 16 folding plates, lithographed by Guillaume Philidor van den Burggraaf, Brussels. Modern half tanned sheepskin. Saalmink, p. 1788; Tardy, Bibliogr. Mesure du temps, p. 233; WorldCat (9 copies). First edition of a rare Dutch manual on clockwork, by the experienced Groninger clock- and watchmaker Jacob Levi Smit (ca. 1766-1826). The work is divided into 4 parts and a conclusion: the first part treating basic mechanics, the second the calculation and design of clockworks, the third clock music and the fourth sundials; the whole is preceded by an introduction telling the history of the profession. The publisher's preface tell us that Smit passed away on 1 November, just as the main part of the text was being printed.With owner's stamp on half-title. Some faint water stains in the margins of the plates and some occasional spots throughout, but still in good condition. Binding also good, only the spine slightly rubbed. First lines of the practice of physic. 4th ed. 4 vols. Edinburgh: C. Elliot, 1788. 4 volumes. Calf c. 1788, rebacked. 210 x 128 mm. 4th edition. Very good. Befestigungsplan und Gesamtansicht ('Accurater Grundris Der Stadt und Festung Belgrad 1788. - Prospect der Stadt Belgrad von der Nord Seite - Plan de la Ville de Belgrad 1788.'). Apologie der Ersten Frage: Warum soll ich ein Freymäurer werden ? Beylage zu dem Bruchstücke zur Geschichte deutscher Freymäurerey gegen Hr.Franz Joseph Bob. 1. Aufl. Beschryving van de Pelew Eilanden ... Rotterdam, Gerard Abraham Arrenberg, 1789. 4to. With 8 plates: 4 mixed technique (partly stipple-engraved) portraits, 1 large folding engraved map of the Palau Islands and western equatorial Pacific, and 3 folding engraved views. Contemporary boards. .
Cat. NHSM p. 233; Cox II, p. 302; not in Tiele, Bibl. First Dutch translation of one of the most popular 18th-century books on the Pacific, and the main source of early knowledge of the Pelew or Palau Islands in Micronesia, first published in London as An account of the Pelew Islands (1788). In 1773, the Antelope under command of Captain Henry Wilson was shipwrecked near one of the Palau Islands, a previously unexplored group. The crew managed to reach shore, where they were well treated by the natives. They built a small boat from the wreck, in which they reached Macao. They took Lee Boo, the son of Abba Thulle, King of the Palau Islands, with them to England where he made a very good impression. Unfortunately, he soon died of smallpox. The map covers from the equator to 24°N latitude and from 110 to 159°E longitude (from Borneo and the south coast of China in the west to the western Caroline Islands). With a minor stain in the front endpapers, slightly affecting the margin of the first portrait, but not approaching the image. The publisher's letterpress spine label was probably printed on the otherwise blank 2Z4, which has therefore been removed. Fine untrimmed copy with many bolts unopened. 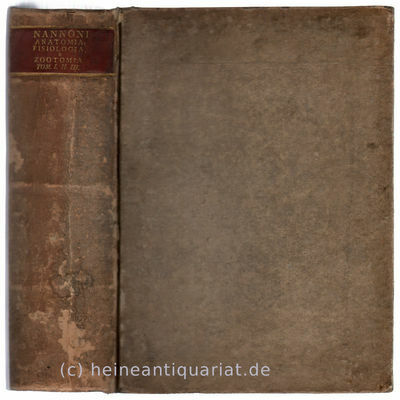 Binding rubbed and spine-label torn..
Neue Tafeln welche den cubischen Gehalt und Werth des runden, beschlagenen und geschnittenen Bau- und Werkholzes, enthalten, verfertigt mittelst der Müllerischen Rechenmaschine nebst einer Anweisung wie daraus der Gehalt richtiger als bisher gefunden werden könne. Kst.- Karte, v. C. Jaeck n. Oesfeld hrsg. v. Treuer b. Simon Schropp, "Karte vom Fürstenthum Halberstadt, den Grafschaften Wernigerode u. Hohenstein und der Abtey Quedlinburg .". - dat. 1788, 65,5 x 46,5 (H) Unten rechts die Titelkartusche, oben links weitere Kartusche mit Erklärungen, rechts oben Windrose ( = 2. Zustand dieser seltenen Karte ). - Schönes, breitrandiges Exemplar. Kst.- Karte, in 4 Blatt v. J. Stenger n. Pownell. b. F.A. Schraembl, "Generalkarte von Nordamerica samt den Westindischen Inseln". - mit altem Grenzkolorit, dat. 1788, je 50 x 58 ( zusammensetzbar auf 100 x 115 cm.) Dekorative Wandkarte von Nordamerika. Oben rechts eine dek. Titelkartusche, unten links eine weitere Kartusche mit Meilenanzeiger. Links oben Insetkarte der Hudson und Baffin Bay, links unten eine weitere Insetkarte der Halbinsel Kalifornien ( nach Kino ). 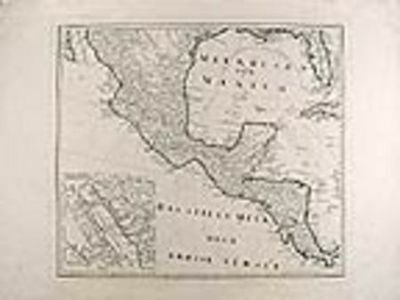 - Large map of North Amerika, Central America and West - Indies, Insetmap of Baffin and Hudson Bay, and another Insetmap of California ( after Eusebius Franz Kino, who showed the connection between California and the continent ). 2 large cartouches in ornate framework. Original outline colour. Josef EISNER(1788 Wien 1861). Caesars Tod, nach Heinrich Friedrich Füger Rad. Herrn von Buffons Naturgeschichte der Vögel. Sechster [6.] Band. Missale Romanum [lat 1788]- Missale Cisterciense juxta novissimam Romani recogniti correctionem editum. Vue du Palais Royal, Dit Nouveau Palais. Dediée San Altesse Serenissime Madame la Duchesse de Bronsviv née Princesse de Würtenberg - Oels etc. etc. Das Grosfürstenthum Finland Augsburg, zu finden bey Johan Michael Probst, 1788. - Ioh. Georg Probst, Fil. sculp. 1788. Dec.':':. Chefs-d'oeuvres politiques et littéraires de la fin du dix-huitième siècle ou Choix des productions les plus piquantes que les lumières & le ridicule, la philosophie & la gaîté, la raison & la bisarrerie ont fait éclorre dans cette époque intéressante. 1788 - 3 vol. in-8 de (2)-317-(3) pp. ; (2)-318-(2) pp. ; 318-(2) pp., demi-basane havane, dos orné, pièces de titre en maroquin rouge et de tomaison en maroquin vert (reliure de l'époque). A la manière de Louis-Sébastien Mercier dans le Tableau de Paris, l'éditeur, anonyme, choisit de rassembler les textes qui lui semblent propice à illustrer cette fin de siècle en pleine effervescence. Le sous-titre à lui seul illustre parfaitement son propos : Choix des productions les plus piquantes que les lumières & le ridicule, la philosophie & la gaîté, la raison & la bisarrerie ont fait éclorre dans cette époque intéressante. On trouve en effet pêle-mêle des écrits, la plupart anonymes, sur les filles entretenues, un projet d'embellissement, sur les vestes à la mode, sur le théâtre français, etc., et des écrits beaucoup plus sérieux de Sylvain Maréchal, de Mirabeau, Necker, Linguet, associés à des textes sur l'esclavage, la philosophie, la prospérité des Etats, sur les troubles de Paris en août et septembre 1788, le Discours prononcé à l'ouverture de l'assemblée des Notables le 6 octobre 1788, Lettre des trois ordres du Dauphiné au Roi, etc. Bon exemplaire. Coiffes usées, mors légèrement fendus. Semble rare, manque aux principales bibliothèques. chez l' Auteur et chez M. Ponce 1788 Incisione originale di Elman,sculp. 1788. L' Empereur Kien - Long aujourd' hui regnant, donna une fete vraiment paternelle à 3000 Vieillards , rassemblés de toutes les parties de l' Empire. Vieillard lui meme, il ne voulut etre distingué des autres que par les bienfaits qu' il répandit sur eux... Paris, chez l' Auteur et chez M. Ponce. Con cornice in legno colorato in verde. Innenansicht des Frankfurter Kaiserdoms St. Bartholomäus., Lavierte Tuschfederzeichnung. Kst.- Karte, in 16 Teilen v. C. Jäck u. Alberti n. Graf F.-W.C. Schmettau, "Topographisch oeconomisch und militärische Charte des Herzogthums Mecklenburg Schwerin und des Fürstenthums Ratzeburg . Durch den Grafen von Schmettau Obristen bey dem Generalstab in Seiner Maiestaet Diensten 1788". - 1788 - 1793, je 58 x 87 cm ( Gesamtgröße 244 x 360 cm.) Rarrissimum! Vergl. M. Hanke u. H. Degener, Geschichte d. amtl. Kartographie Brandenb.- Preußens, Stgt. 1935; W. Scharfe, Abriß der Kartographie Brandenburgs, Bln. 1972. - Blatt 1 mit riesiger Kartusche, Blatt IV mit Erklärungskasten und Insetkarte des Amtes Ribnitz ("Fischland"); Blatt VIII mit Erklärungskasten zu den Korrekturen ( die auf einem separaten Blatt vorliegen ), Blatt XVI mit weiterer Insetkarte der in der Priegnitz liegenden mecklenburgischen Gebiete. Diese 16 Blätter sind das Ergebnis der mecklenburgischen Katasteraufnahme im Maßstab 1:5000, die Graf Schmettau auf den Maßstab 1:33000 verkleinerte (so auch diese Karte). Die Karte blieb bis zum Ende d. 19. Jahrh., d. h. bis zur Aufnahme der Meßtischblätter durch das preussische Militär, die genaueste und zuverlässigste Karte dieses genaueste und zuverlässigste Karte dieses Gebietes. In der Zeit zwischen 1790 bis ca. 1860/70 erschienen eine Reihe von Übersichtskarten des mecklenburgischen Gebietes, sie beruhten aber alle auf dieser 16teiligen Karte. - Alle Blätter sind breitrandig, fleckenfrei und liegen in einer phantastischen Erhaltung vor. Nur Blatt 1 mit einem kleinen Papierausriß im weißen Rand, di Karte ist davon nicht betroffen. In diesem Zustand kaum noch einmal zu finden. Stetten, Paul von (den jüngern). \"Letters on Greece; being a sequel to letters on Egypt, and containing travels through Rhodes, Crete, and other islands of the Archipelago; with comparative remarks on their ancient and present state, and observations on the government, character, and\"
Histoire véritable de la vie errante et de la mort subite d'un chanoine qui vit encore ; Ecrite à Paris par le défunt lui-même, Dieu lui fasse paix. Publiée à Mayence depuis sa résurrection avec la filiation des pièces que sa fermeté a fait naître : le tout pour l'instruction des juges du révérendissime consistoire métropolitain. Sans avertissement ni avant-propos, ni préface quelconque, par déférence pour les lecteurs qui ne les aiment pas. Madrid, 1788. Quarto. Contemporary mottled calf, spine gilt, leather label. Bit rubbed. Frontispiece portrait neatly mounted, tear at top of one leaf repaired with no loss of text, some scattered foxing and dust soiling, else very good. Lacks the four folding maps from the RELACION... and the folding map from the APENDICE. The objective of the voyages recorded here was to determine whether Spanish ships should continue to use the Straits of Magellan in voyages to the Pacific. 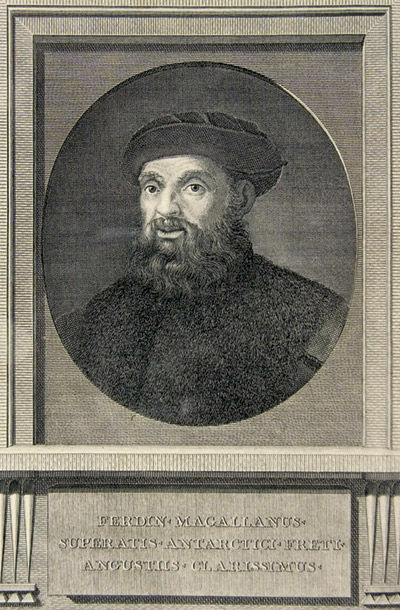 Under the command of Captain Antonio de Córdoba y Laso, both expeditions ascertained negative conclusions and afterwards "the Spanish trade routes were exclusively to east coast ports and then overland to Pacific ports" (Hill). A major portion of this work, the first comprehensive study of the Straits of Magellan and Patagonia, was compiled from the journals of D.A. Galiano and A. Belmote, Cordoba's lieutenants. The RELACION... also includes Vargas y Ponce's review of earlier explorations of the area, with descriptions of the region's climate, natural resources, and native peoples. Die Engländer in Indien. Nach Orme. 3 Bände in 2. 3 Bl., 460; 419 S.; 2 Bl., 258 S. Mit mehrf. gefalt. gestoch. Karte. Gr.-8°. Marmor. Lederbde d. Z. (etwas berieben und wurmstichig) mit 2 farbig. Rückenschildern, Deckelfilete und hübscher Rückenvergoldung. - de la fragata de guerra Santa María de la Cabeza, que contiene el de los paquebotes Santa Casilda y Santa Eulalia. Madrid, Por la Viuda de Ibarra, hijos y Compañía, 1788, 19x24, retrato de Magallanes, 3 hojas, XVI-359 págs. (incluyendo 4 hojas desplegables), 4 mapas plegados de gran tamaño (70x50cm) en gran papel. Ex-libris, sello y firma anterior propietario. Junto con el Apéndice. : Madrid, Imprenta de la Viuda de Joaquín Ibarra, 1793, 2 hojas, 128 págs. (incluyendo una hoja desplegable). 1 mapa plegado. El apéndice tiene marca de agua en el margen interior blanco (y en últimas 8 hojas), y un tiro de pollla en margen blanco interior de últimas hojas sin afectar texto, todo ello poco perceptible por ser el margen interior. La obra principal (Relación.) está en perfecto estado así como los magníficos mapas. Las dos obras encuadernadas en un volumen en pergamino a la romana, (El objetivo de los viajes registrados aquí fue determinar si los barcos españoles debían seguir utilizando el Estrecho de Magallanes en los viajes al Pacífico. Bajo el mando del capitán Antonio de Córdoba y Laso, ambas expediciones llegaron a conclusiones negativas. Una parte importante de este trabajo, el primer estudio exhaustivo del Estrecho de Magallanes y la Patagonia, fue compilada de los diarios de Dionisio Alcalá Galiano y Alejandro Belmote, lugartenientes de Córdoba (págs. 92 a 158) . La Relación incluye también la revisión de Vargas y Ponce de exploraciones anteriores de la zona, con descripciones del clima de la región, los recursos naturales, etc. Palau: "obra interesante y bien publicada. Tiene estima en comercio cual merece"). (56757).